Protein is a vital part of a healthy, well-balanced diet. This nutrient plays a vital part in virtually every metabolic process, from building muscles and bones to regenerating hair and nails. It even aids in the production of certain hormones! But since the body doesn’t store protein, making sure that you are eating enough of it is essential for your health and overall well-being. You can obtain protein from many different types of foods, including animals and plant protein. 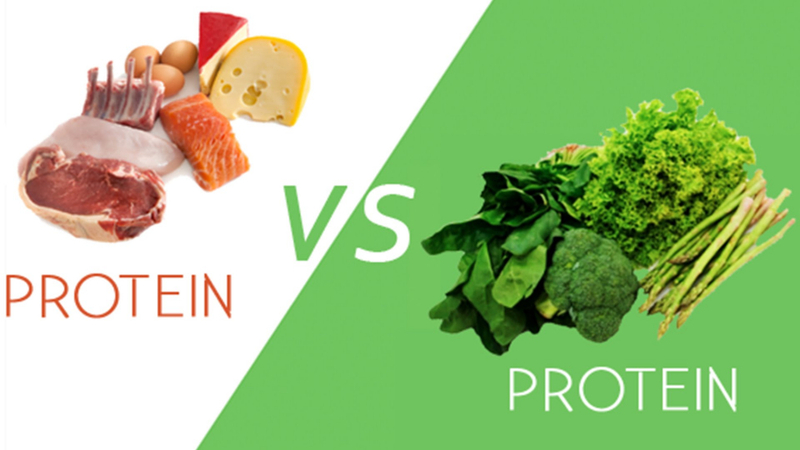 But what’s the difference between animal protein vs plant protein? Below, you’ll find a brief overview. Are Animal and Plant Proteins Really Different? There are about 20 different amino acids that the body uses to build protein. Some of the amino acids are considered essential, while others are considered non-essential. The human body has the ability to product non-essential amino acids, but it can’t produce essential amino acids. Your body requires all of the essential amino acids, and they must be in the right ratios, in order for you to maintain optimal health. That’s why you need to ensure that you are consuming essential amino acids through your diet. Animal proteins, including beef, poultry, dairy, fish, and eggs, contain all of the essential amino acids that your body needs. Plant proteins, on the other hand, like beans and nuts, do not contain all of the essential amino acids, therefore they are considered incomplete proteins. While you can certainly obtain protein from plants, food made of animals is considered the highest quality sources of protein. Plants do not contain all of the essential amino acids; therefore, it is harder to obtain all of the vital amino acids that your body needs in order to function properly. Furthermore, animal proteins also contain several other vital nutrients that many plants proteins lack. For optimal health, a well-balanced diet of both animal and plant proteins is recommended.